Peeling and coring apples are tedious works. 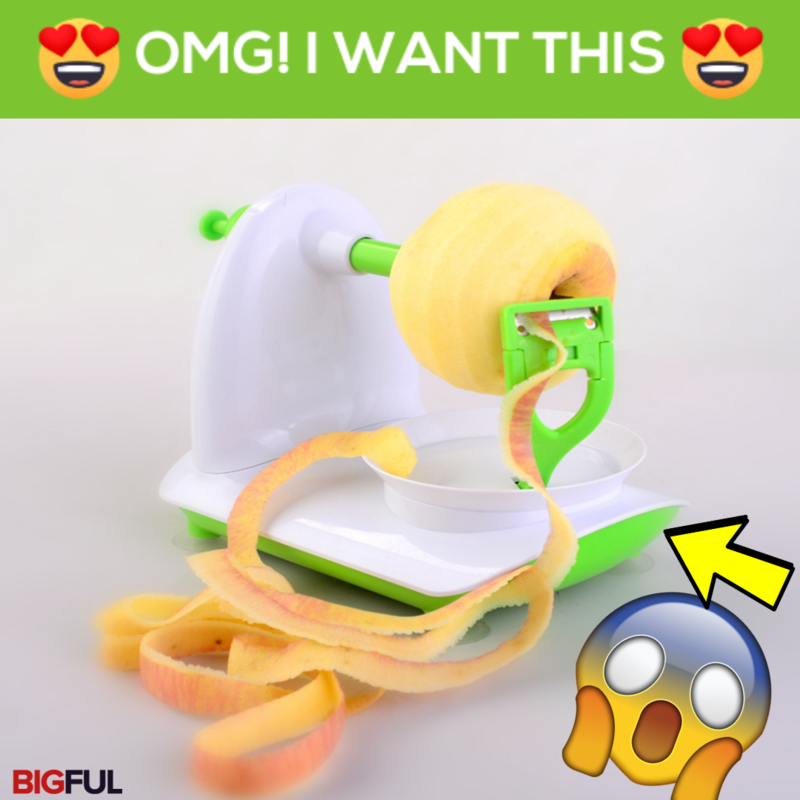 Put those days behind you and let Fruit Peeler do the job IN SECONDS. Not only limited to apples, but it also works for pears, potatoes, and more! EFFORTLESS TO USE — All you have to do is mount the fruit on the spike holder, turn the handle clockwise, and the blade will peel off the fruit skin cleanly. Rinse the peeling blade under running water, wipe other dirty areas with a sponge, and dry all parts with a towel. ULTRA SHARP STAINLESS STEEL BLADES — HOME CUBE Fruit Peeler has adjustable and replaceable blade, made from the finest anti rust stainless steel which is ultra-sharp, sturdy and perfect for toughest fruit-peeling task! SUPER SMART DESIGN — Comes with an integrated spike holder and four suction-grip feet for utmost stability. With our innovative product, you will never hurt your hand or finger during peeling process! DO IT LIKE A PRO — From apple pies, apple pudding, apple juice to apple crumbles, now you can prep these delicious treats like a pro! ORDER NOW.